I will be in Booth B-9 — Stop by and say HI!!! 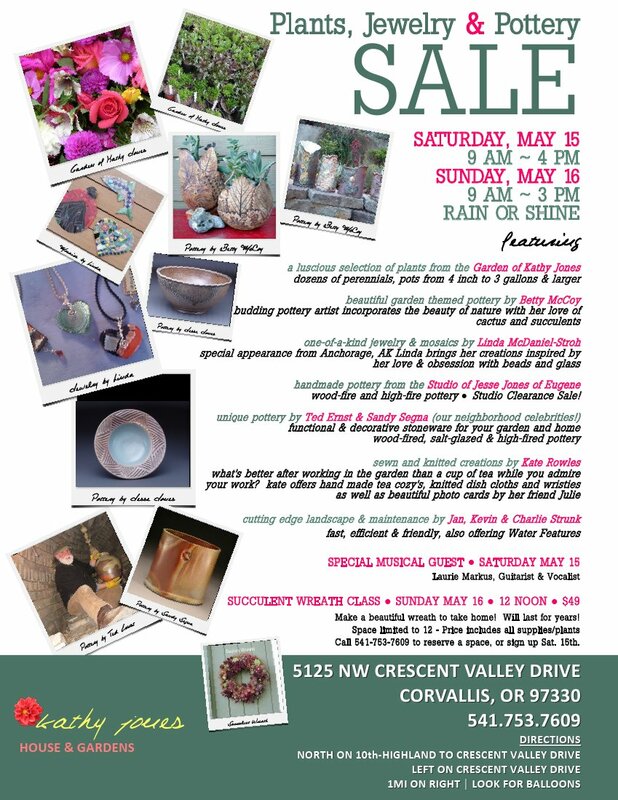 A Neighborhood Plant, Jewelry and Pottery Sale in Beautiful Crescent Valley (just north of Corvallis, Oregon). A sale of student and instructor pottery and sculpture. 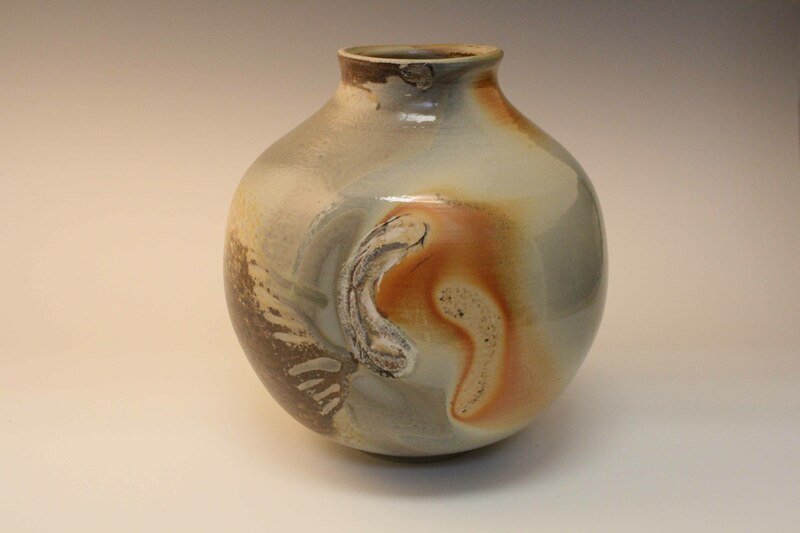 Gas-fired, wood-fired, salt-glazed and raku pottery all for sale. Part of the proceeds go towards supporting the Benton Center Ceramics Studio. 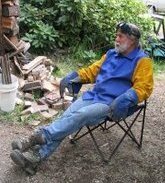 After the craziness of the Fall this is the time of year for me to be recharge my creative batteries, make some new work and get ready for the Oregon Potters Association Ceramics Showcase that opens at the end of April at the Oregon Convention Center in Portland. 777 NE Martin Luther King Blvd. 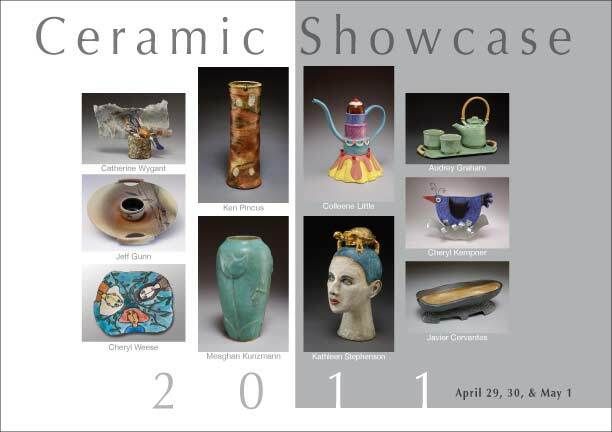 The largest all pottery show in the country! Our first studio sale in our new studio. Come celebrate with us!!! A crew of eleven people fired Stephen Mickey’s Soulgama for the 21st time from March 26-30, 2009. We had two days of loading and a little less than 3 days of firing. We opened and unloaded the kiln on Saturday, April 11th. We ususally open the kiln one week after firing but since several of us had other firings the weekend of April 4th Stephen decided to unload the kiln after a two week cooling. The extra cooling time didn’t seem to have affected the look of the pots. After two days of loading we started the fire late Friday afternoon. 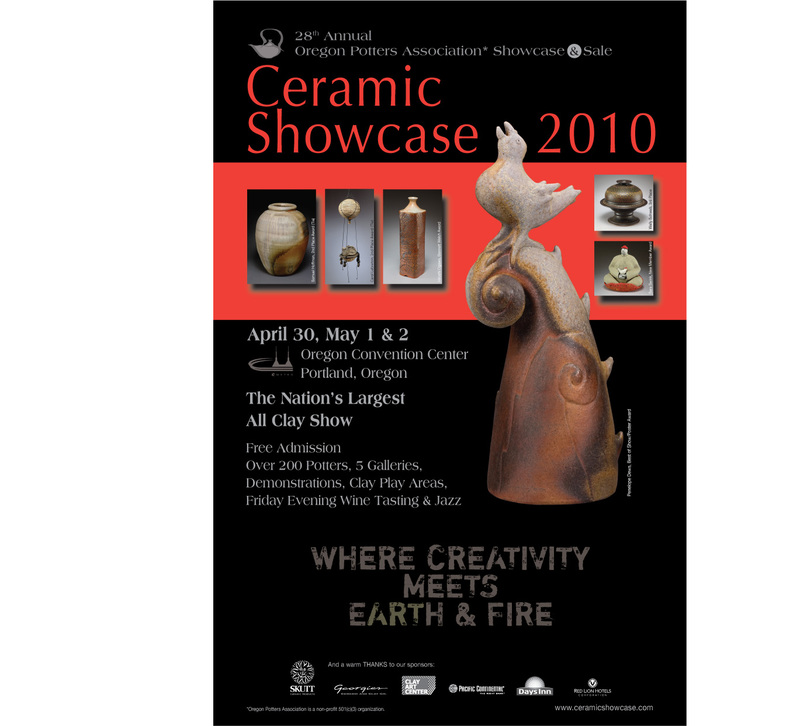 Most of us had to go to the Ceramics Showcase meeting in Multnomah to pick our booths for the show. Sandy Segna stayed and tended the kiln in our absence. On Saturday night we had our usuall pizza and potluck dinner where Jim, Robin and Nathan Hominiuk cook homemade pizzas in the pizza oven made out of kiln bricks. Everyone involved with the firing and invited guests bring a wide assortment of pizza toppings. To add to the festivities we also celbrated Brenda Scott’s birthday. Sarah Chenoweth brought cake and noisemakers for everyone. It was quite the festive evening and we even remembered to stoke the kiln when it was needed. The firing went well with good results. We had problems with the pyrometers and consequently we let the front of the kiln get a little hotter than usual. Good for my large stoneware pots … not quite so good for some of the porcelain and porcelaineous stonewares. Except for the front rank of shelves the front of the kiln produced its usual beautiful, drippy and glossy pots. The center of the kiln produced glossy drippy pots near the first stoke alley and quieter surfaces further back until the second stoke alley. I want to try some sagger pots for the floor of the kiln in the middle section since this is often cooler and less ashey. The pack of the kiln had pots with glazes since it is somewhat cooler. Some great pots came out of the back. I am learning more and more how to prepare my work for this section of the kiln and was pleased with the results. Two weeks after the firing we opened, unloaded and cleaned up the kiln site and stacked the next load of wood.